Hello and welcome to live coverage of Chelsea's Champions League clash with Israeli champions Maccabi Tel Aviv. Here we go then, Chelsea hoping to build a bit of momentum after returning to winning ways against Norwich City at the weekend. The Blues have London rivals Tottenham at White Hart Lane on Sunday (the scene of that 5-3 New Year's Day defeat 11 months ago) and will want to head into that match in full confidence. Apart from long-term injury concern Thibaut Courtois and the (pretty much useless) Radamel Falcao, Jose Mourinho has a full squad of players to choose from. The Blues comfortably beat Maccabi 4-0 at home in September and will be looking for a similar performance and result tonight. Expect a couple of fringe players to get some game time, but this is still a must-win game for the Blues so expect a strong line-up. Chelsea fans may not know that much about tonight's opponents, but former Manchester United flop Jordi Cruyff, son of Johan, is the director of football and they are coached by former Blues midfielder Slavisa Jokanovic. The Serbian, who led Watford to the Premier League last season before failing to extend his contract in the summer played at Stamford Bridge for two seasons between 2000 and 2002. The defensive midfielder was a fringe member of the squad back then, with almost half of his 53 appearances coming as a substitute. 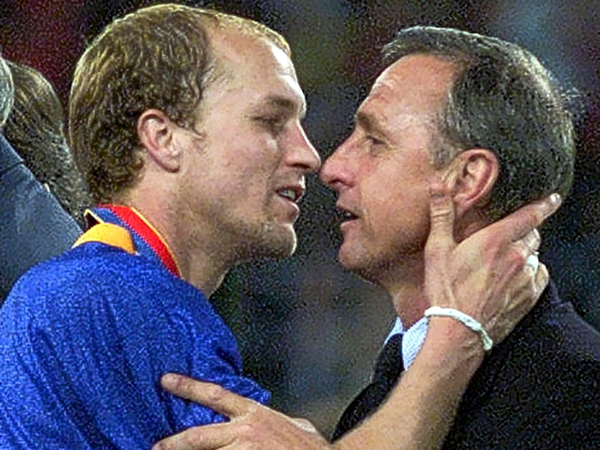 The IndependentMaccabi Tel Aviv recruited Jordi Cruyff as sporting director to bring them his experiences from playing for Barcelona and Manchester United, to create the environment and structures of a big European football club in Israel, where they did not exist. Cruyff has done exactly that, which is why Maccabi have won three consecutive Israeli titles and are hosting Chelsea this evening in the Champions League. They are probably the strongest club side in the history of Israeli football. So that's four changes made by Jose Mourinho to the team that beat Norwich - three of those in defence as well. Branislav Ivanovic is replaced by Cesar Azpilicueta on the right, Gary Cahill comes in for Kurt Zouma at centre-back and Baba Rahman gets another chance to impress on the left. Perhaps a bit harsh on Kenedy, who was quite decent at the weekend. Oscar replaced Pedro, meaning Hazard will shift back out to the left. I always feel there is more in him as well. There's still more in the tank. He's sharp, he's quick, he can play of either foot, and he can beat people. But a lot of the time he plays the easier ball, I want him to take people on, take the game by the scruff of the neck and dominate like Hazard was last season. Maybe he's not at the level of Hazard but he has the ability to really isolate people and beat them. Jose Mourinho has also been talking ahead of the match and is expecting a slightly more difficult clash than some pundits, perhaps, believe. If you watch their matches carefully, they did well enough to pick up points. They are better than their results suggest. Also, the pitch is very bad, so with the support of a stadium we are not [expecting] an easy match tonight. Baba is fresh, Azpilicueta is fresh. At the weekend we played Ivanovic and Kenedy, they both had a difficult match - I demand a lot from them in attack and recovering position in defence. We thought about having two fresh full backs, on a heavy, slow pitch, will be better for what we want to achieve. We thought about that before the Norwich match, having two different [sets]. It's better to qualify early, of course, but we have six matches to qualify [for the knockout stage]. If you qualify in the last match that's not a problem. We dont want to go to the Europa League. That's why we want a result. Just under 15 minutes until kick-off. The players are in the tunnel - Chelsea have quite a few fans in the home end as well with a reasonably substantial Israeli supporters club. Lots of noise coming from the Maccabi fans, though. KICK-OFF! Away we go in Israel! 2mins: Early chance for Maccabi! A ball is swung in from the right hand side and Perez is unmarked as he meets the cross - his header is over the top and the Blues breathe a sigh of relief! 4mins: Awful start for the Blues, who look a bit shock by how well Maccabi have started! Matic scuffed a clearance and it's worked to the right, and a good opening is sliced high and wide. 5mins: Chelsea just need to get a hold on things here! They've barely put two passes together. 7mins: Chelsea with a chance this time, as Cesar Azpilicueta finds Hazard down the right, the Belgian then back-heels into his path but the Spaniard can't curl his left-footed shot into the corner. It's not a surprising result, Azpilicueta has scored just one goal for the club. 11mins: Much better from the Blues who finally put a couple of passes together and work the ball out to Baba Rahman, The Ghanian swings over a dangerous looking cross but there's no one on the end of it. The Blues finally gaining a bit of control. 12mins: Maccabi have been a lot, lot better than many would have been expecting. The pitch is not helping at all either, it's already cutting up under the feet of the players, while one goal mouth is filled with sand and the other is a big patch of mud. 15mins: The Chelsea attacking trio are all playing quite narrow at the moment, it's giving Baba Rahman and Azpilicueta a lot of room to operate in but Hazard, Oscar and WIllian a rather getting in each others' way at the moment. 16mins: Maccabi under quite a bit of pressure at the moment and a lot of it is self-inflicted - the Isreali's have had a couple of chances to clear but keep giving it back to the Blues. Chelsea unable to take advantage, however. 19mins: More good play down Chelsea's right and Fabregas, who is running the show at the moment, picks up the ball on the edge of the box, in shooting range. The Spaniard goes for a chip but it's a bit misjudged and goes over the bar - even if it was on target that one probably would have been saved by the keeper. The Blues have the lead! Oscar pressures the Maccabi defence into giving away a corner - Willian's delivery is excellent, landing on the head of Cahill who powers a header at the keeper. It's saved onto the post but the England defender is quickest to react as he taps in the loose ball to put the Blues in front. 22mins: That goal should really settle Chelsea, who were way to slow coming out of the blocks in the first 10 minutes. 28mins: The corner is poor and suddenly after two quick passes Chelsea are on the break - Fabregas finds Oscar with a lovely sweeping ball out to the left but the Brazilian doesn't have the pace to break away from his defender. He checks back and although Chelsea have a two man advantage on the break, Oscar's delivery is poor and easily cleared. Opportunity missed. 30mins: Excellent play from the Blues, who are looking dominant on the right hand side. Hazard continues to probe and his little interchange with Willian releases Azpilicueta. The Spaniard crosses but it's just behind Costa, who tries the acrobatic but sees his bicycle kick go wide to the left. 32mins: Brilliant defending by Ben-Haim keeps Maccabi just about in the game! Chelsea are just finding space all over the place, and Hazard is doing whatever he wants. Oscar drives foward, plays a one two with the Belgian then finds Costa in the box, he cuts back to Hazard but the pass is not quite in the right spot and it's desperately cleared. Moments later Oscar tries to curl one but it's well over the top. 34mins: Maccabi sniff a half-chance after overloading on the right, the cross comes in but although there's a bit of danger in never really falls right for anyone to have a chance at goal. A shot is then blasted well over the top of Begovic. 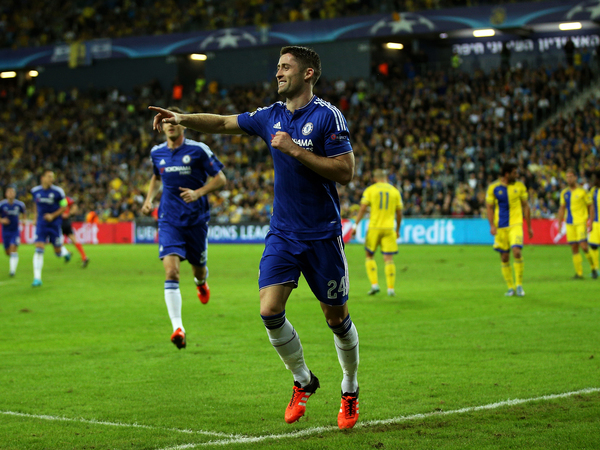 38mins: More desperate defending form Maccabi as there's more clever interplay from the trio behind Costa. They eventually spring Costa into the box but just as he winds up to shoot a sliding challenge comes in and it's out for the corner. Chelsea opt to play short to the onrushing Baba Rahman but he blasts well over - Mourinho wasn't too pleased with that one. 41mins: RED CARD! Maccabi are down to 10 men! It's the former Chelsea man Tal Ben Haim! Completely needless from the experienced centre-back. Diego Costa is in possession running away from goal and the 33-year-old just kicks the striker up in the air. He's right in front of the ref and it's a straight red! There's been word that Mourinho and Diego Costa have had some kind of row just before half-time, or in the tunnel, and it appears Loic Remy is warming up for the second half. Can't say I saw it myself, will keep you updated. KICK-OFF: We're back for the second half, Maccabi get us started. 46mins: Maccabi get in each others way in midfield and Nemanja Matic steals the ball, driving forward and releases Oscar into the box. But the Brazilian is offside (and falls over anyway). 47mins: Just an interesting aside, Maccabi coach Jokanovic has opted not to make any changes to his side, keeping the same players that started the game. Ben Harush has moved into the centre of defence. 50mins: Begovic makes a good save! Eden Hazard allows his man the complete freedom of the pitch and Dasa, the right-back, storms into the box, taking the ball on the half-volley but it takes a smart stop from the Bosnian to keep the Blues in the lead! Warning sign for Chelsea not to be complacent!